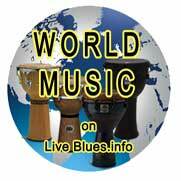 Blues-Unlimited radio show is now back on the air with a two hour show every Monday evening. The show is broadcast on 103.6 FM by Lincoln City Radio. The aerial is located at the top of the main tower of Lincoln Cathedral so a good coverage is assured. If you are not in the catchment area then go to www.lincolncityradio.com and listen live and there is a studio web cam. The time is 7.00 pm until 9.00 pm and is followed by The Monday Night Rock show. I am looking to feature British Rock bands and welcome any promo CD’s for airplay. In addition if you are in the area on a Monday evening and you are doing a gig in the area then get in touch and we will get you in the studio for an interview and play some of your tracks.